Tuff Stuff's Power Brake Boosters combine quality, fitment and use only 100% new components, tested and manufactured in the USA. These brake boosters fit virtually all hot rods, customs and muscle cars, available in chrome plated, gold zinc and a variety of other colors. Single and dual diaphragm styles available in 7”, 8”, 9” and 11” diameters and include 3/8"-16 mounting studs and nuts where applicable. Most booster rods have a 3/8"-24 fine thread and work with many stock mounting brackets and with Tuff Stuff bracket kits (sold seperately). Brake Boosters are available individually or as Brake Booster/Master Cylinder combo. Brake Booster/Master Cylinder Combos: Specific fit applications available in chrome plated, gold zinc or black powder coated finishes. Universal fit applications available in chrome plated or gold zinc finishes. Every unit is vacuum tested to insure reliability and works with many stock mounting bracket set-ups and with Tuff Stuff bracket kits (sold seperately). 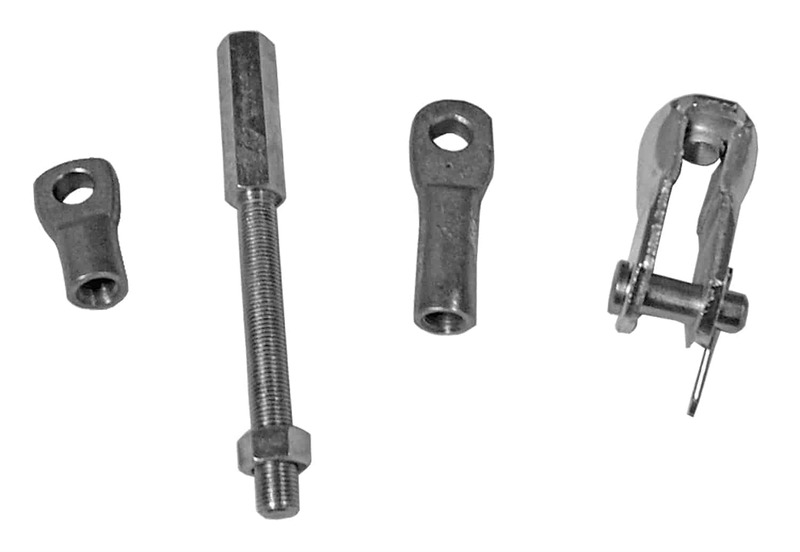 Universal fit applications include 3/8"-16 mounting studs and nuts. 4750 is rated 5.0 out of 5 by 3.